Hobart is Propertyology’s tip to be Australia’s best performed capital city property market in 2017. 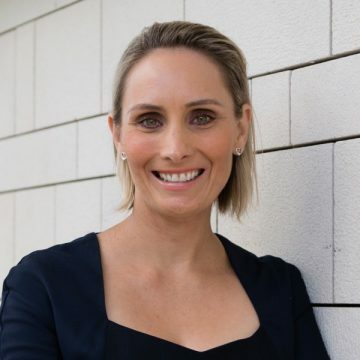 An underrated economy, limited properties for sale, the tightest vacancy rates in Australia, a much more controlled housing supply pipeline compared to mainland cities, and increased buyer activity are expected to drive property prices and rents higher. “We have been actively investing in Hobart for a couple of years now. 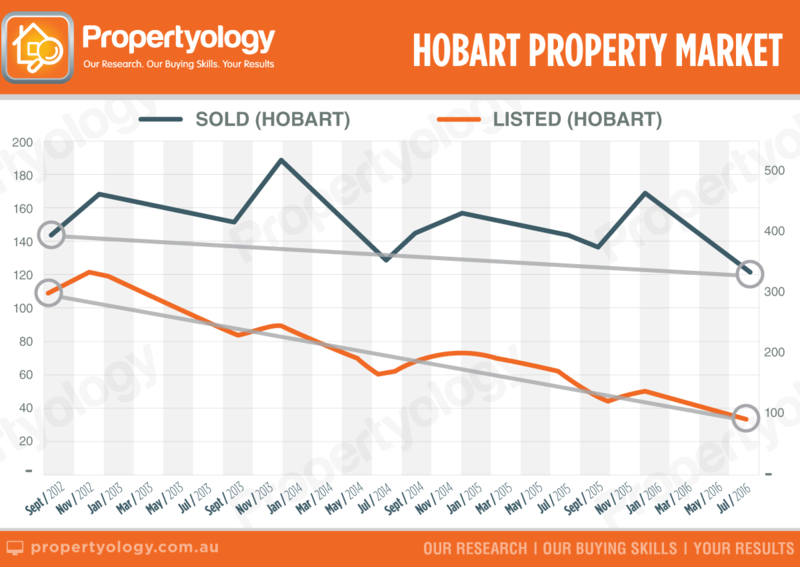 Hobart’s property market was dead flat when Propertyology started our run there. Our buyer’s agents have observed firsthand price growth of 8 to 10 per cent over the past 12 months. 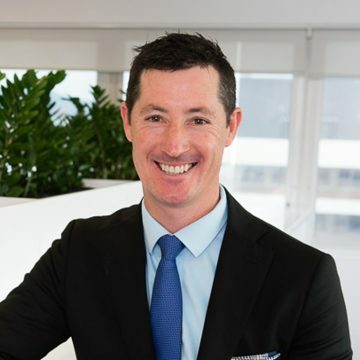 We can only see buyer activity further intensifying and forcing stronger growth over the next couple of years,” said Propertyology Head of Market Research, Simon Pressley. On an all things being equal basis, double-digit price growth is well and truly on the cards for Hobart in 2017. “The significant retraction in properties listed for sale has made it increasingly difficult for our buyer’s agents to find suitable properties for our investors. Properties are generally selling within a week of listing and often going for prices well above our own appraisal range. 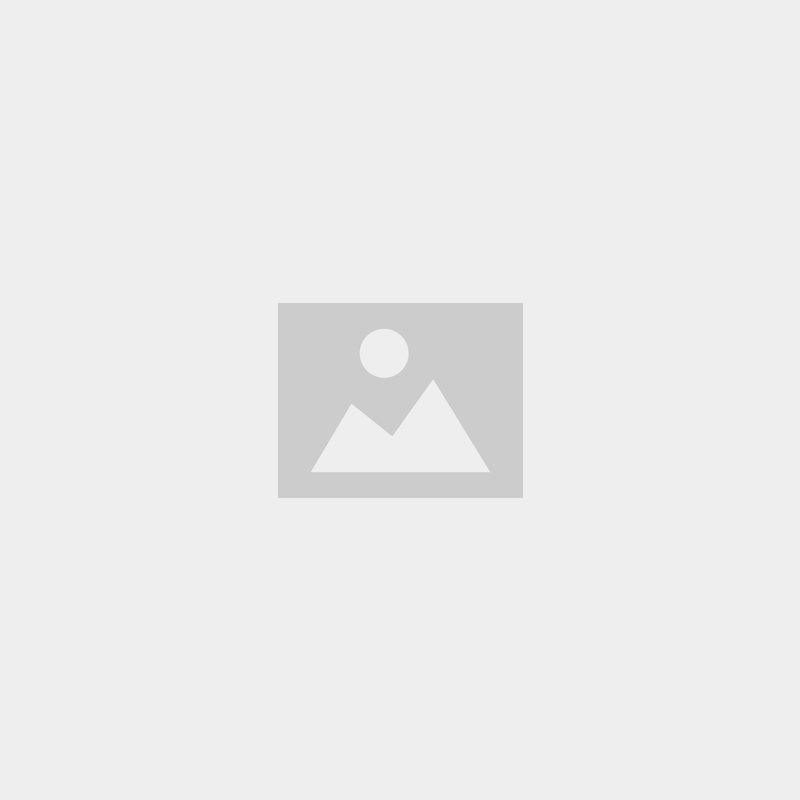 The market is red hot,” Pressley said. Residential vacancy rates in Hobart are the lowest of all capital cities and rental yields are the highest. According to Propertyology, “it’s an investor’s paradise in that Hobart is producing the dual benefit of solid capital growth and high rental yield”. On the back of the underrated improvement with Tasmania’s economy over the last couple of years, the latest quarterly population data from ABS showed its highest population growth rate in five years. A reversal in the interstate migration trend is an additional positive indicator. Some property investors place too much emphasis on Tasmania’s below average population growth rate. 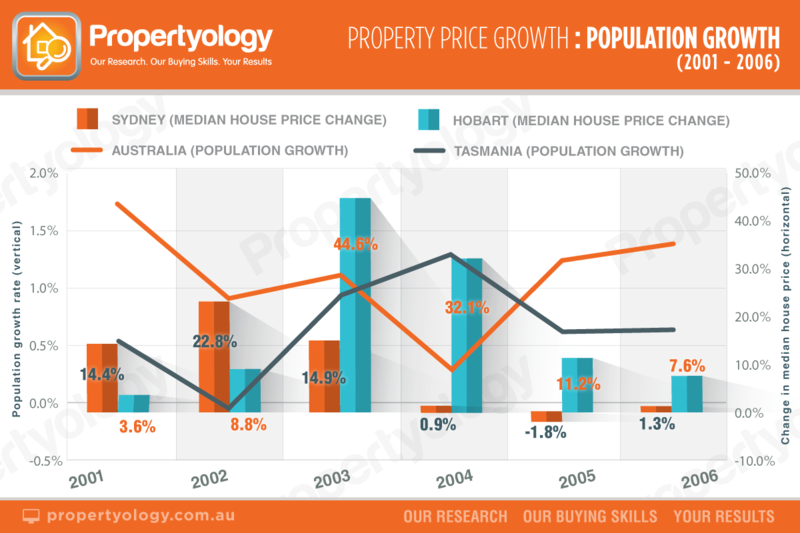 The fact is that, over the last 20 years, there have only been 2 quarters out of 80 where Tasmania’s population grew by more than the national average (Q2 2006 and Q4 2003) but Hobart’s property market has experienced plenty of strong years. Perhaps the best example is the 6 year era 2001 to 2006, inclusive, when Tasmania’s population growth rate was below the national average for 5 of those 6 years yet property price growth was far superior to Sydney, including growth of 44.6 per cent, 32.1 and 11.2 in 2003, 2004 and 2005. Of greater significance to housing demand than population growth is affordability and economic improvement. Hobart’s median house price is well less than half the cost of Sydney and Melbourne and there’s good reason to be optimistic about Tasmania’s economy. 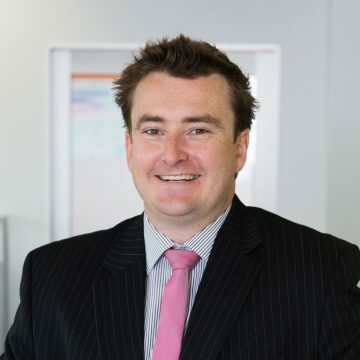 “The much lower entry price and higher yield make Hobart a significantly safer investment than Australia’s two biggest cities, particularly so when interest rates start trending up again”. Job volumes in Hobart bottomed at 100,400 in January 2014 and increased to 106,000 as at December 2015. The improved labour market has definitely lead to a general increase in consumer confidence. 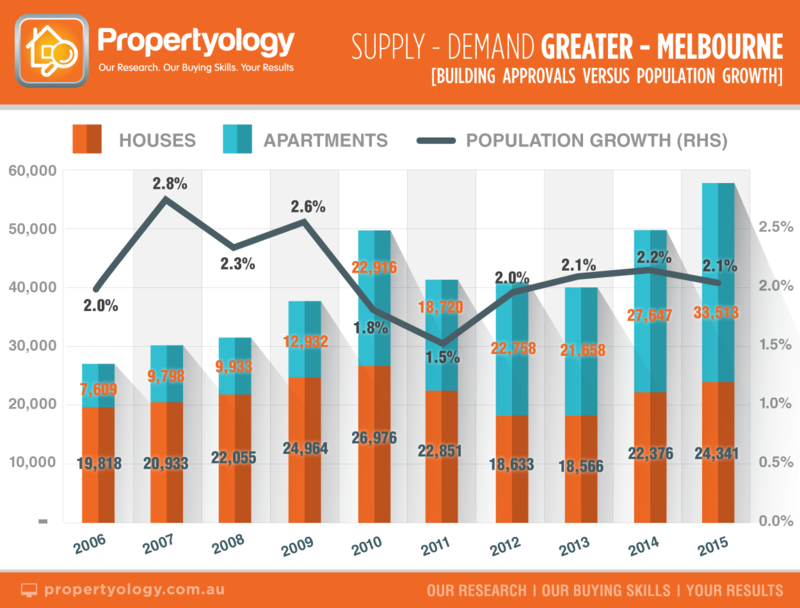 Sydney and Melbourne are much closer to the end than the beginning of their growth cycles. Hobart, on the other hand, is just beginning. International Exports: 8.7 per cent increase in Tasmania for the year ending September (compared to 2 per cent growth nationally). Unemployment Rates: Tasmania’s September unemployment rate of 6.5 per cent is far and away he most improved state in Australia over the last 3 years. Housing Finance: the number of loans for the quarter ending August 2016 is 7.2 per cent higher than the same time last year (second highest growth in Australia, behind SA). Propertyology is anticipating continued improvement in Hobart’s economy to come from greater engagement with Asian countries, a very strong tourism industry, an expanding international student market, major construction projects like the Hobart hospital, several new hotels, and the exciting Macquarie Point project, and fast-rising demand for Tasmania’s world-quality agriculture products (Asia’s food bowl). 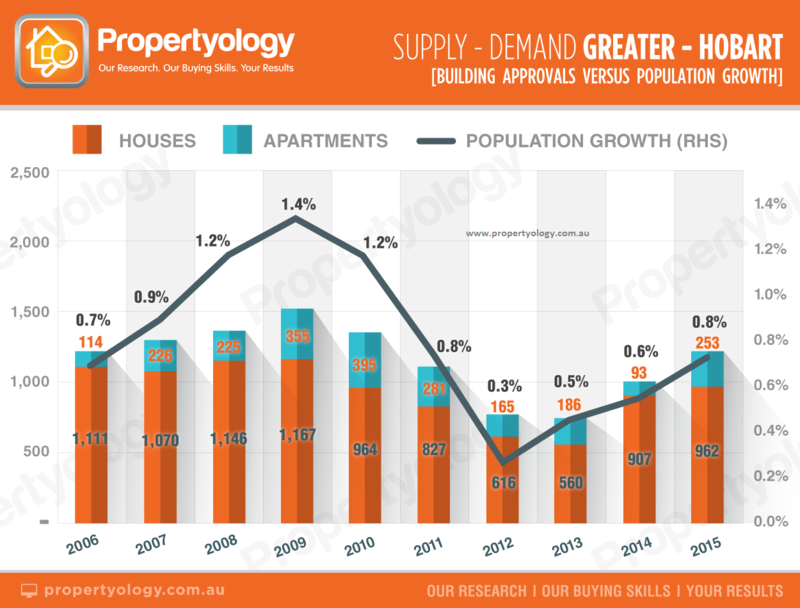 Big mainland cities have unprecedented high volumes of new properties in the supply pipeline at a time when population growth (demand) is not dissimilar to historical trends. 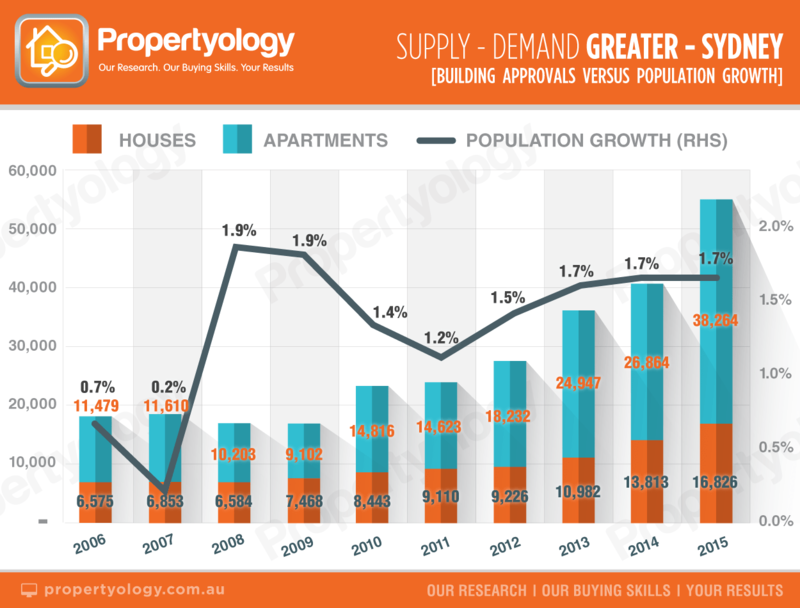 Hobart on the other hand has building approval volume which are much more sustainable. As these charts show, there is an imbalance which threatens Sydney and Melbourne property markets, especially if interest rates rise and / or Asian investors need to get their money out of Australia. 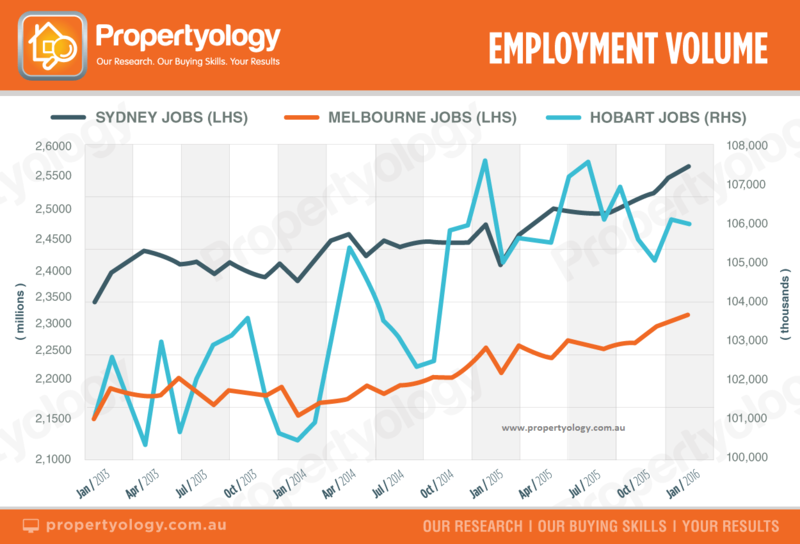 Hobart’s supply and demand metrics certainly look more balanced.